I'm definitely more of a tea person than coffee person! So every time when I'm out dining or chilling at cafe, I'll always order a pot of tea together with my food. And whenever I come across unique tea flavours in the drinks menu, I'll also order and try them out! Well, my other favourite drinks are milkshake and fruit juice but if there's no choice and I've to order soft drinks then... it will be any non-gassy soft drinks! Hahaha! So much for telling you guys what I love to drink and you must be thinking why I suddenly talk about all these right?! The reason? Because I've been drinking a lot of tea lately from Tealy! 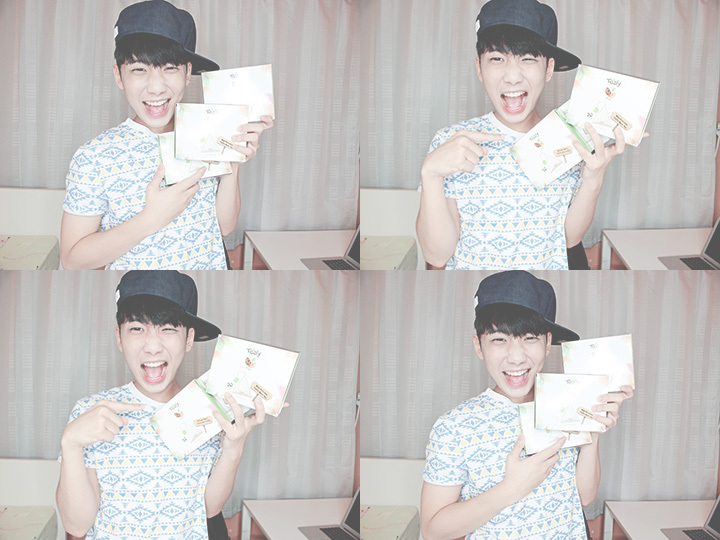 With the few boxes of teas that Tealy gave me! 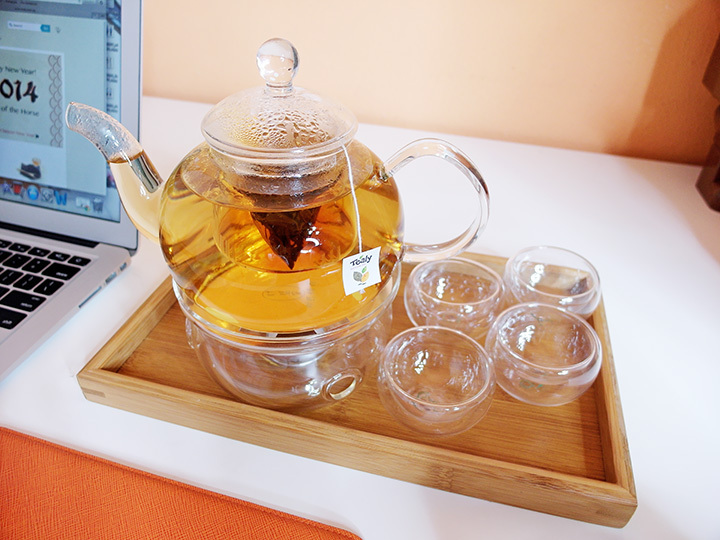 So I've been literally drinking all the teas from them for the past few days at home, together with my pretty tea pot set (which I gotten as my birthday present last year from Esther & Isaac) which I'll show you guys further down the entry! And I must say I love their tea so much because of their unique flavours!!! 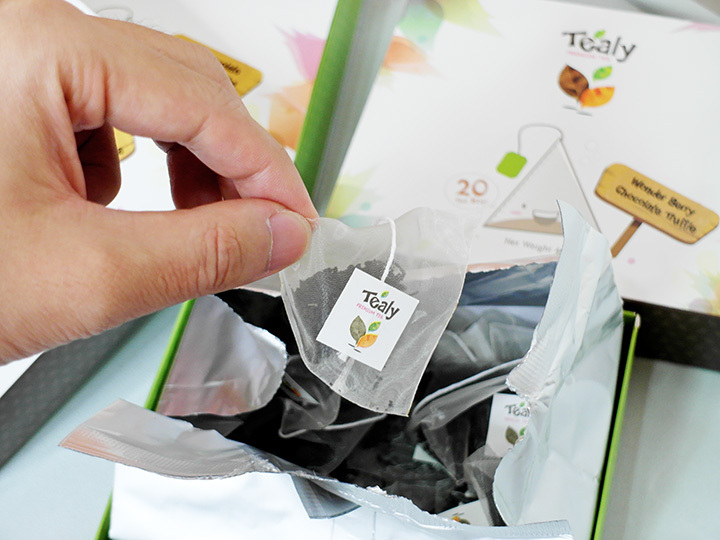 Clearer picture of the boxes of tea since you can't really see them from the above picture of me with it (due to the ring light hahahaha). Don't you love their packaging too? Looks super cute eh! 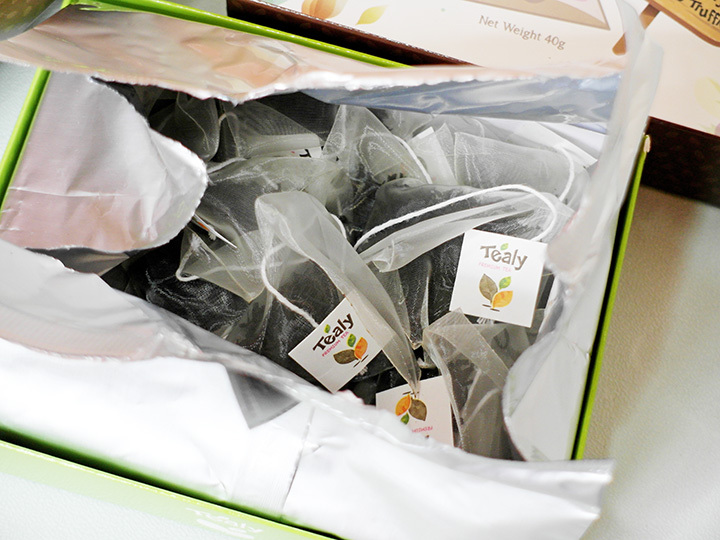 Upon receiving it, I quickly went to open the boxes of tea up! AND OMG THEY SMELL SO GOOD, I SWEAR!!! 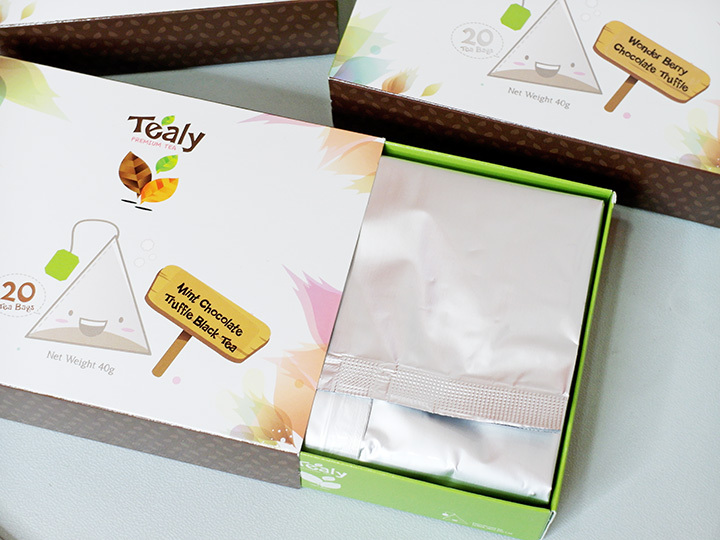 Especially all the chocolate based teas which I super super love cause they really smell so so so good!!!! Up to the point that after I opened it, I exclaim out on how nice smelling it is and keep sniffing it hahaha! Can't wait to try it out! 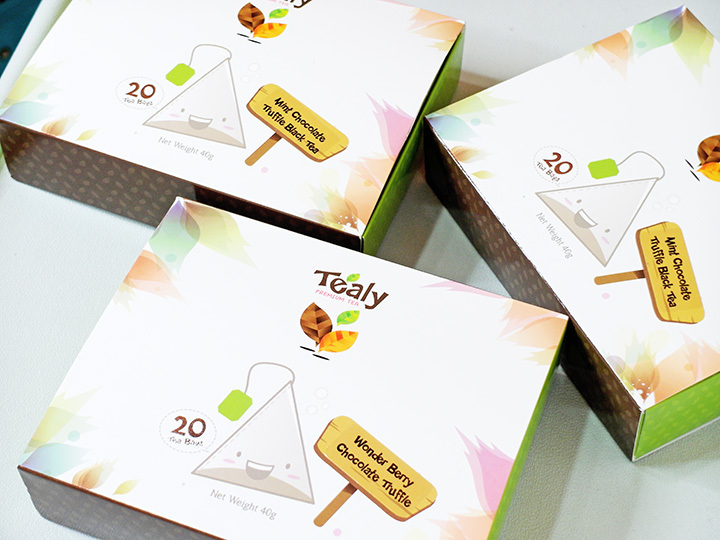 Anyway, for each box, there are 20 tea bags inside!! Mint Chocolate Truffle Black Tea! 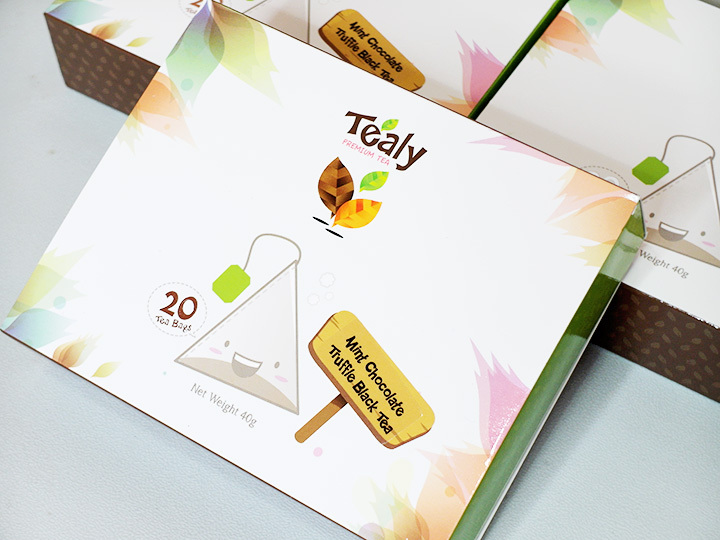 It's actually is a dessert tea, where the primary taste here is the mint, not the chocolate! Finally our childhood delights are echoed in this dessert-inspired concoction of minty chocolate wonder, creating naturally creamy flavours mixed with tingling goodness in everyone's favourite chocolate minty confection! So now there's..... Mint + Chocolate + Truffle = How awesome can it get!!! While waiting for my tea to brew, for about 3-5 minutes! 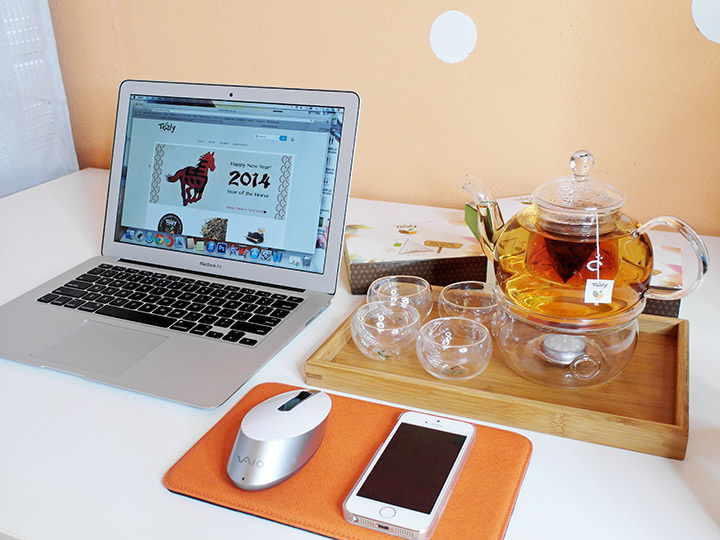 Love using my laptop while sipping on tea! And it's done, so it's time to pour them in all the tea cups! And if you noticed, it's my mum's hand and not mine cause there are nail polish on! Hahaha! I went to ask her to help me to hold the teapot and pour it so I can take pictures! Hahaha! 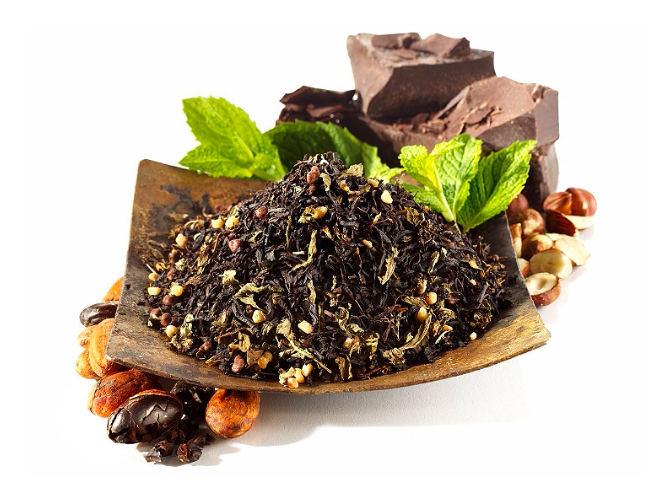 After drinking it, I feel that the Mint Chocolate Truffle Black Tea pairs very nicely with the crisp aroma reminiscent of citrus Ceylon tea base. The chocolate, as always, kicks in only during the aftertaste, heightening the "cooling" sense you get on your lips from the mint, post-sip! 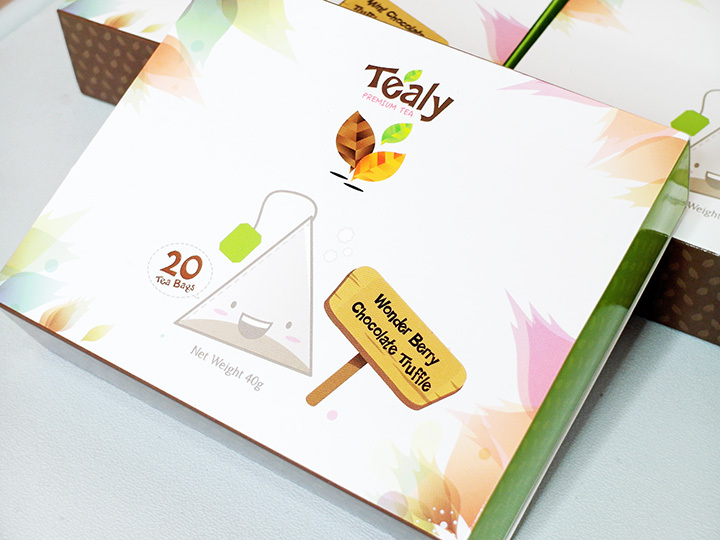 The next chocolate based tea is this, Wonder Berry Chocolate Truffle Tea! 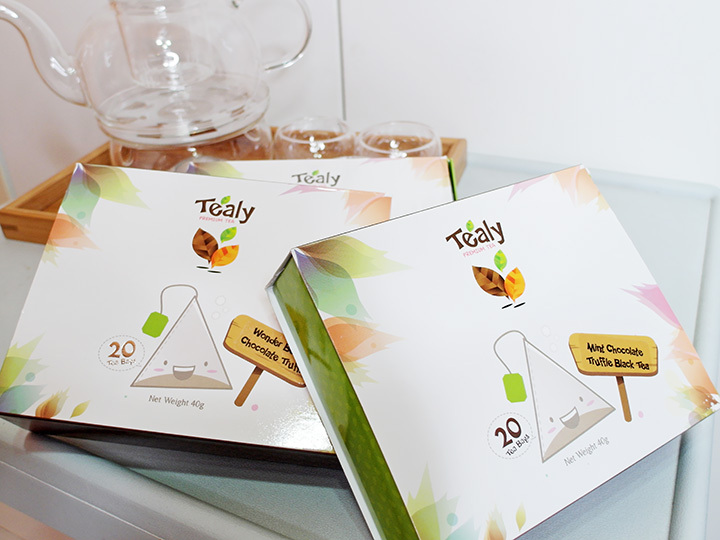 It's also a dessert tea, and for those who doesn't like mint, you can try this out! 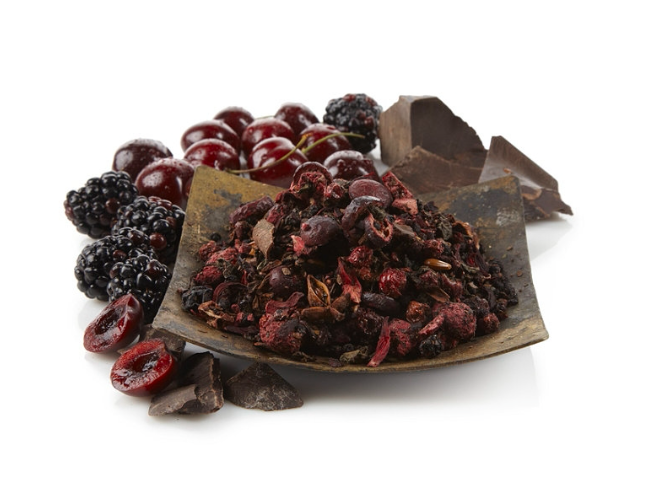 This tea is inspired by Belgium's decadent chocolate truffles, the delicious Ceylon is a wonderful blend of rich chocolate, cocoa, infused with a mix of elderberries, blackberries, cranberries, cherries, and raspberries. It's true chocolate and berry lovers' delight, these indulgent flavours melt together with a hint of spice to create a perfectly wicked sinless treat! I cannot decide which one I love better seriously! Cause both of them taste really good in their own way! I love the mint tea cause it gives a special twist to the taste of the tea and I usually dislike teas that are too fruity and sweet but this berry tea taste just nice! 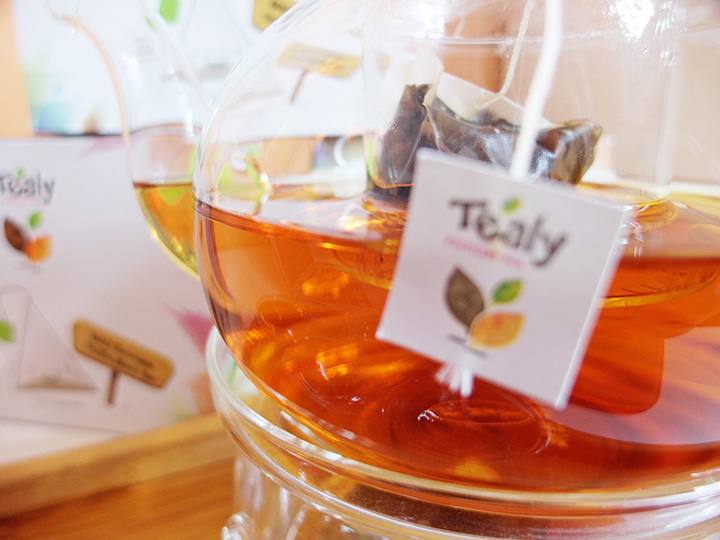 To be honest, I really think both teas are super worth a try! I never lie!!! While waiting for the Wonder Berry Chocolate Truffle Tea to brew! To me it is a very strong smelling tea (when you opened the packaging), but when drinking it right, it was very much weaker than the smell. 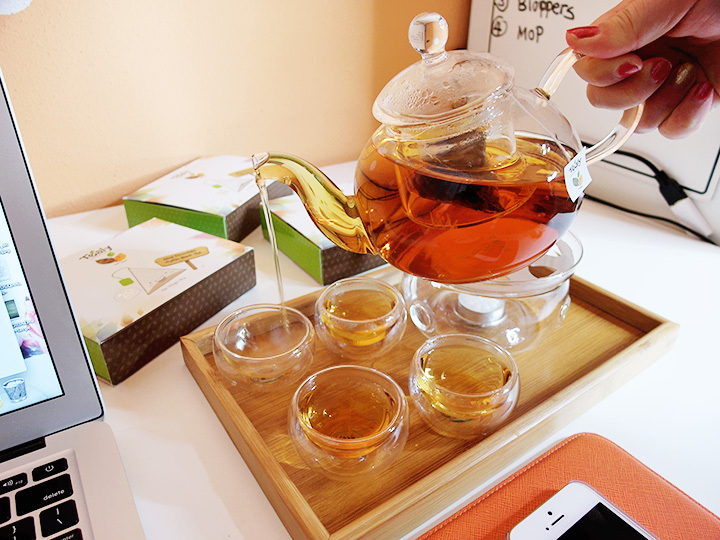 Wah suddenly I sound like an expert in tea like that hahahaha! Look at this artistic shot that I took of the pot of tea! Hahaha! Not bad right! Mint Rooibos, Peach Berry Jasmine Sutra Rooibos and Lemon Lemongrass!! Honestly saying, I didn't have the time to try out all the teas because once I just started on the chocolate based tea, I'm so hooked into it that I cannot stop drinking it after! Hahaha! Plus I didn't have much time to stay home to drink tea everyday lah! 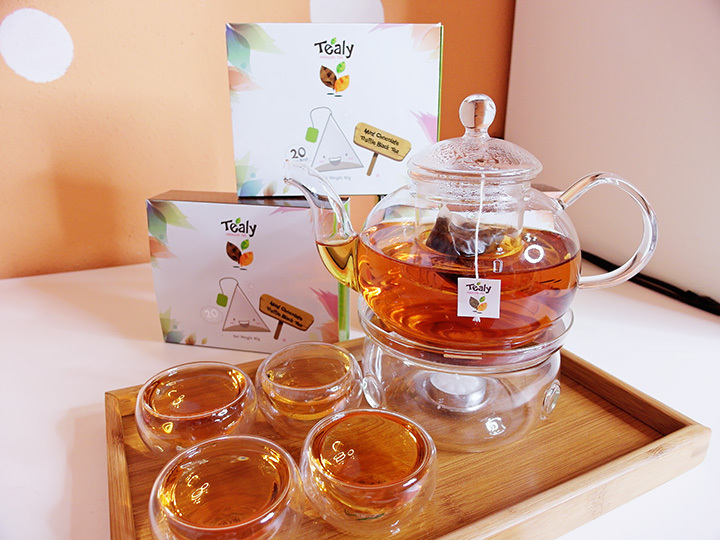 But I did tried some of the other 5 teas and I can say I like it as much as the chocolate based tea, all of them are of a different taste so it's very hard to compare which is better! I only can say is, all of them are really good so you should try it yourself! And the great thing about it is that... IT IS REALLY AFFORABLE!!! 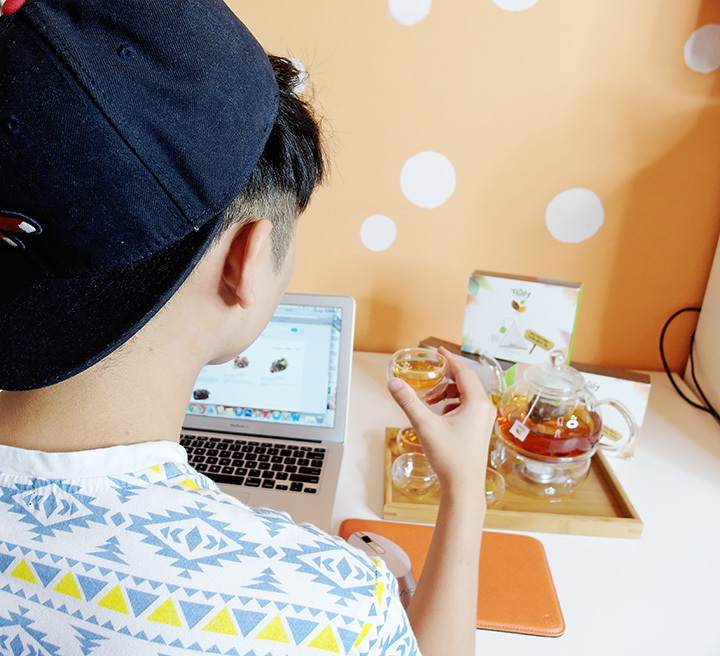 Most of the teas are priced at only $11 per box! Why you guys so awesome one Tealy!!!! Like that after discount, 1 box of tea is like $9+ only eh!! 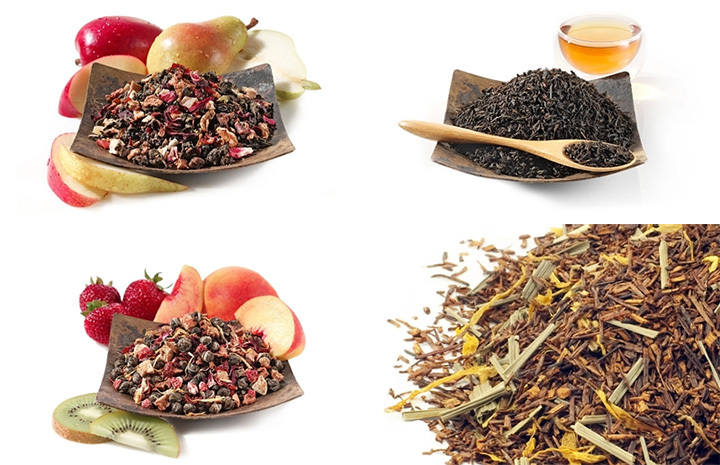 And also since Valentine's Day is coming, it might also be awesome idea to additionally include this unique and nice flavoured of teas on top of your gift to your partner! 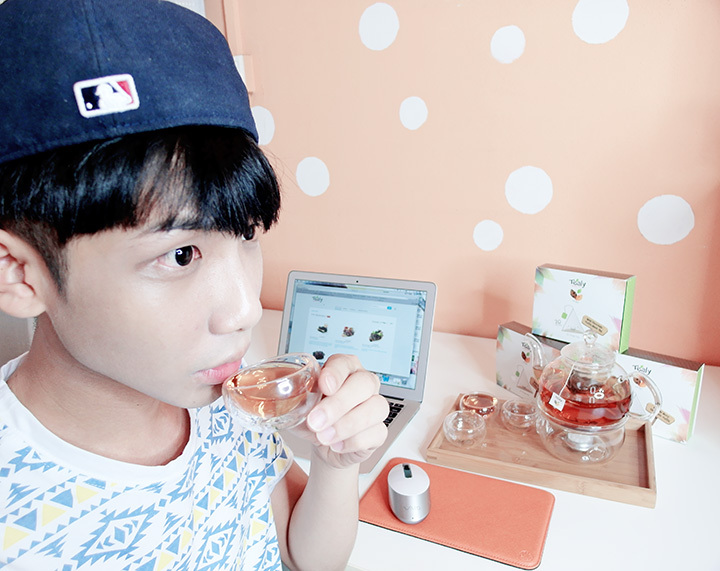 You guys can then drink and sip tea together while doing whatever activities hahaha! I'll recommend the two chocolate based tea for that! I'm also pretty sure that after I finished all the teas they gave me, I'll go buy from them again!